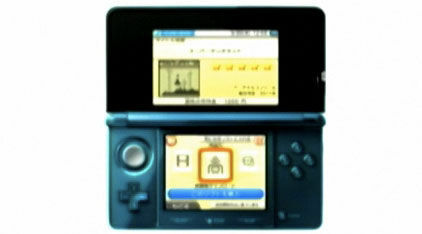 In an investors briefing today, Nintendo President Satoru Iwata showed off the shopping interface for the upcoming 3DS handheld. We were all blown away by the 3DS at this year's E3. 3D without glasses? That's unpossible! Nintendo is keeping up with the good buzz by rolling out its 3DS shopping channel. Not only will you be able to download games directly to the handheld console over a wifi connection, but Iwata is hoping to allow consumers to browse the "shelves" without a specific title in mind. He may have been showboating for the investors but Iwata expects that this will encourage a lot of digital spending. 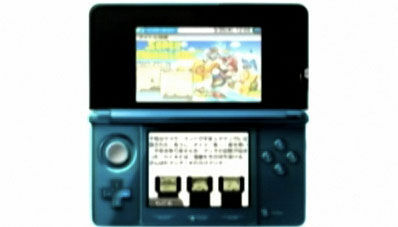 The 3DS shopping interface doesn't have its own name yet but Iwata said that it will function like a mashup of two existing Wii Channels. 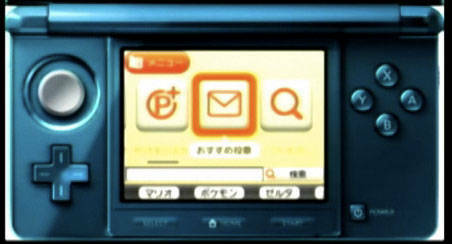 "It is as if we are now combining the functions of Wii Shop Channel and that of Nintendo Channels," Iwata said. "With more swift and efficient responses, we want our consumers to feel like just enjoying a sort of window shopping even when they do not have any particular product in mind." 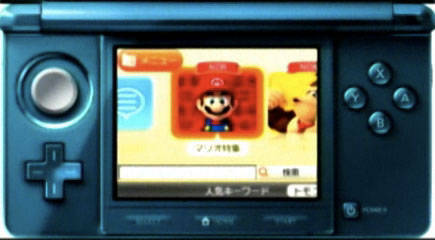 You'll be able to search by game "theme" and be brought to a "shelf" which will hold all of the games of that ilk. From there, you'll be able to read descriptions, watch trailers and read or write comments on a wide range of games. It's not clear if all games will be supported or just first party titles. 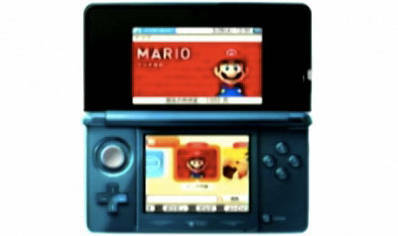 "We are preparing such a structure for Nintendo 3DS because we want to nurture a healthy download business in parallel with the packaged software sales," Iwata said. I've held off on purchasing a handheld gaming system the last few months in anticipation for the 3DS launch. Here's hoping that it lives up to its hype.